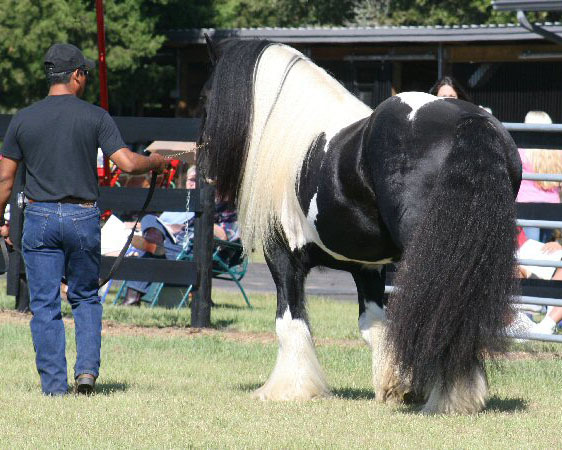 Latcho Drom means safe journey in the Romany language. 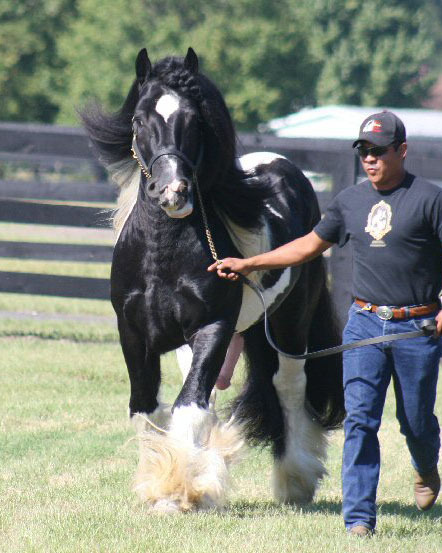 This handsome and flashy fellow was one of the best producing stallions in North America before we lost him in 2014. 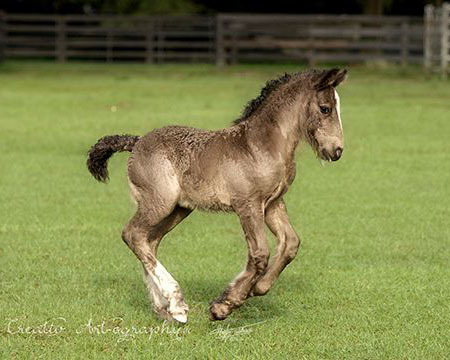 The consistency in in his foals is phenomenal. 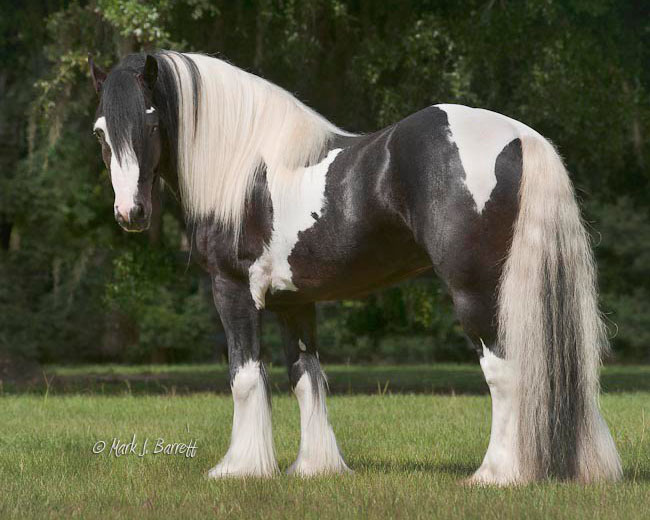 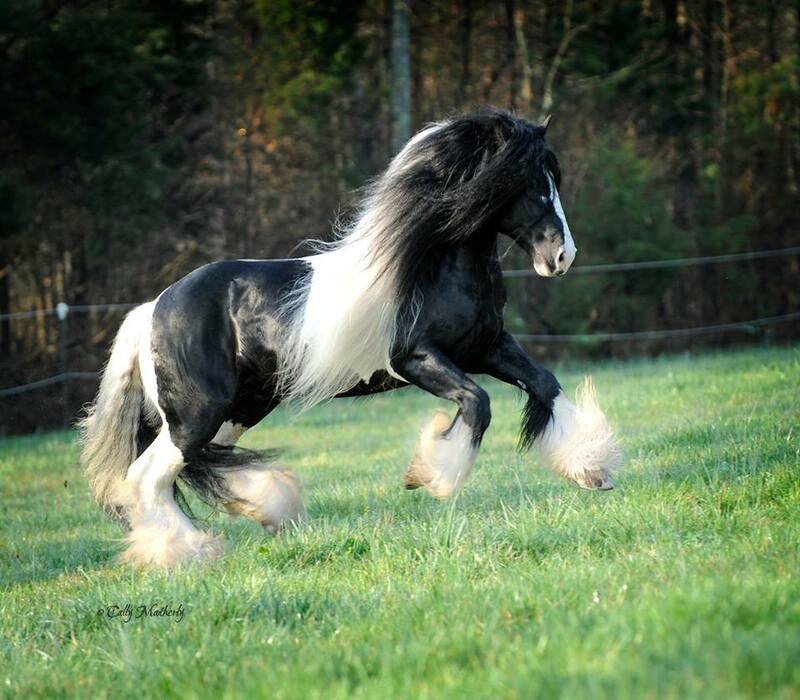 This gentle stallion has tons of hair, an amazing body, and the temperament of a puppy dog. 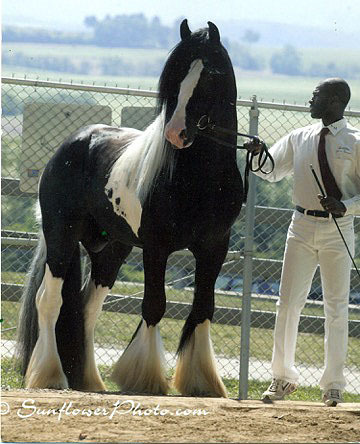 All of these traits he passed on to his offspring. 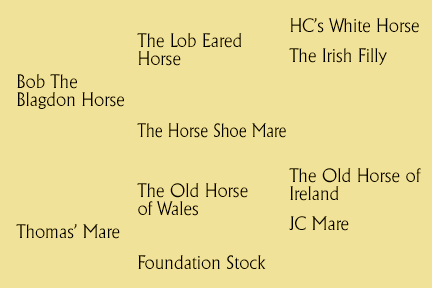 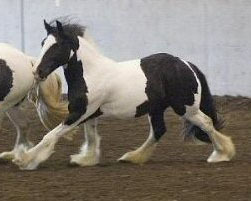 Many of his sons have been kept as breeding stallions, and many of his daughters have become proven producers as well as being outstanding individuals. 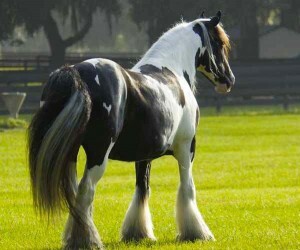 Bottom line, he is as quality as quality gets. 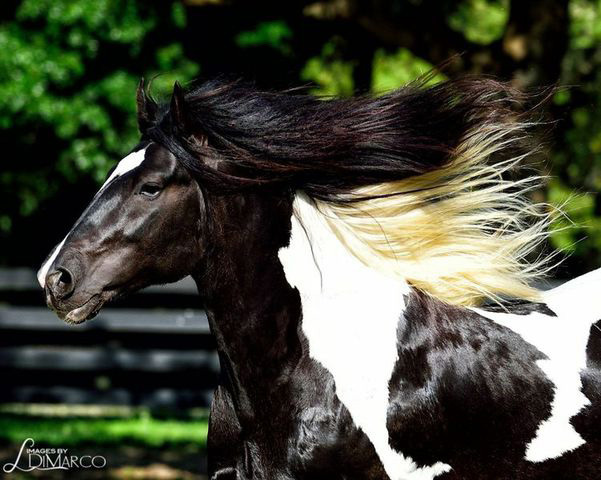 We were very blessed and proud to own this wonderful Stallion. 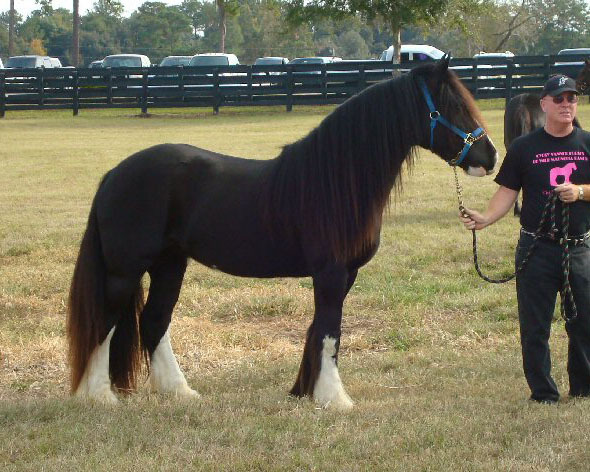 In early 2002, Cindy and I received a call from the Gypsy who had sold us The Gypsy King in 1998. 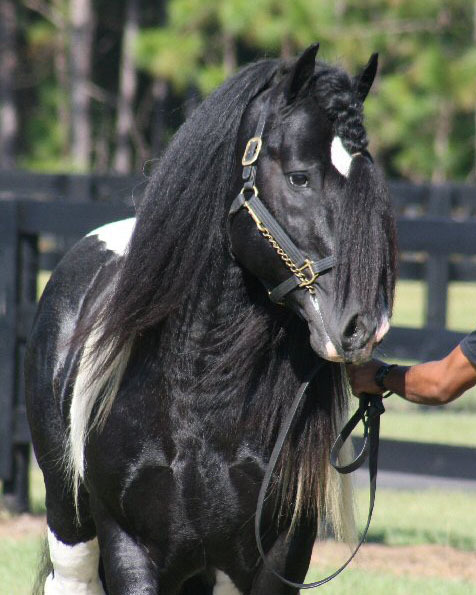 He called to tell us about a stallion which he described as the only stallion he had found since 1998 that was in the same class as The Gypsy King. He told us he would send a picture of the special stallion, and he did. 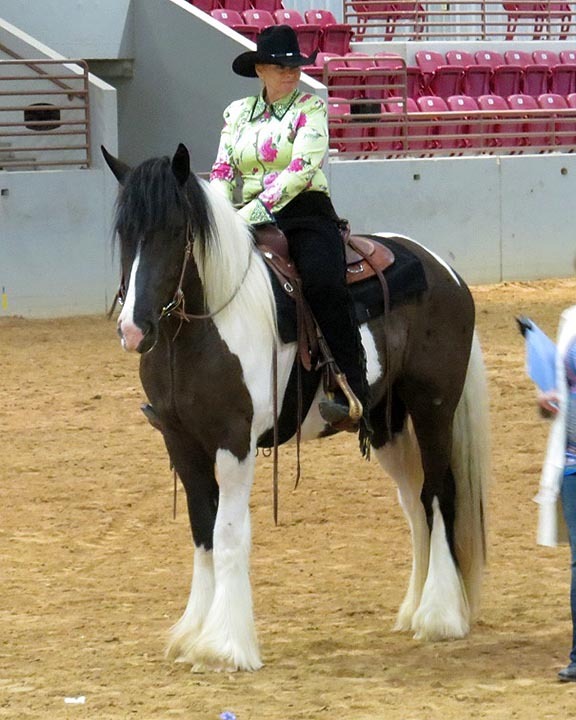 Cindy and I fell in love with the horse in the picture, but we had never purchased a horse from a picture before and knew the perils of doing so. 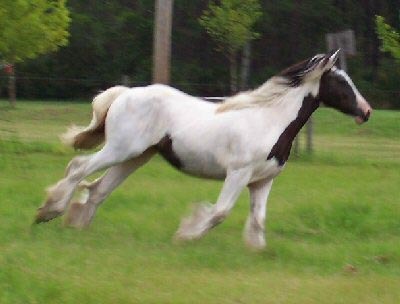 Pictures are almost never a good way to buy a horse. 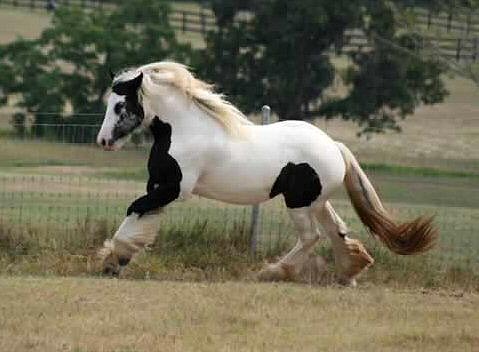 What made this picture different was the relationship we had with the man that sent it. 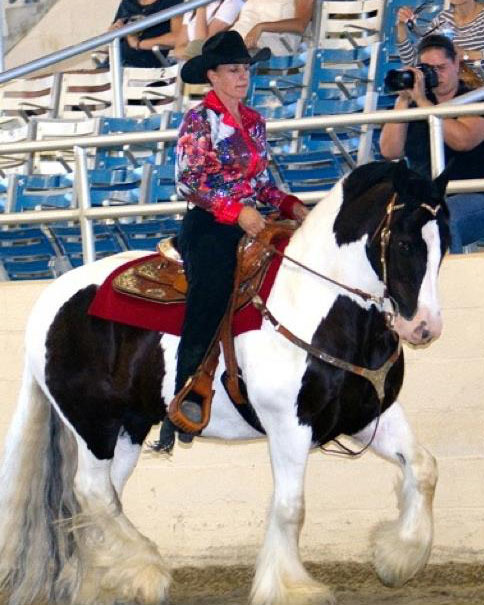 For nearly a decade, Cindy and I knew this man to have integrity and the best eye for a horse of any Gypsy we ever met. Because of our relationship and great faith in him, we decided that we could purchase this horse from his picture. 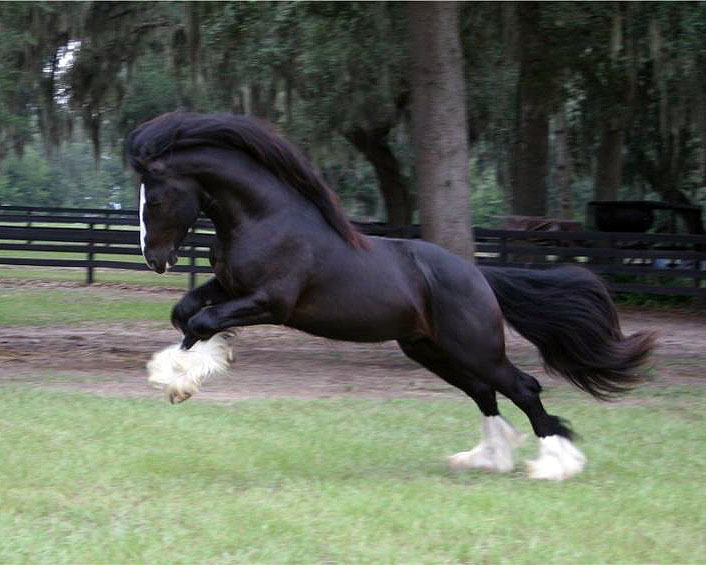 The stallion in the picture was named King Arthur. 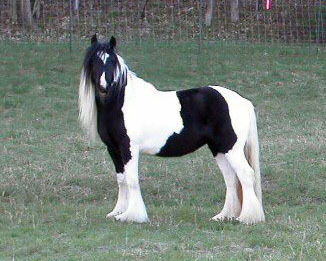 We were told that Andrew Moulden was his breeder, a Gypsy we knew to buy and raise the most extraordinary breed specimens in Great Britain. 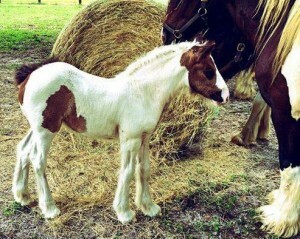 We were also told that, as a baby, King Arthur was sold for “cash and a new Mercedes Benz”. 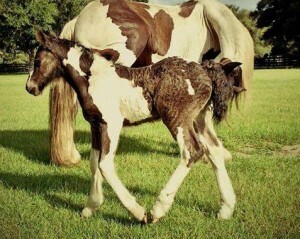 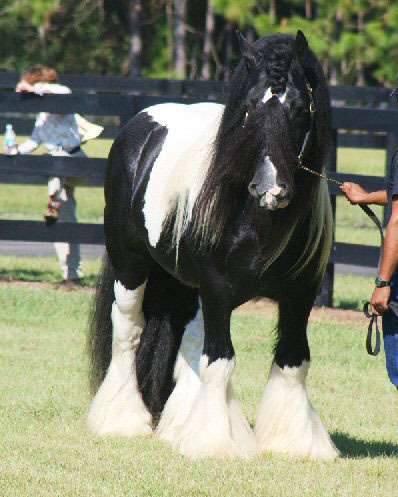 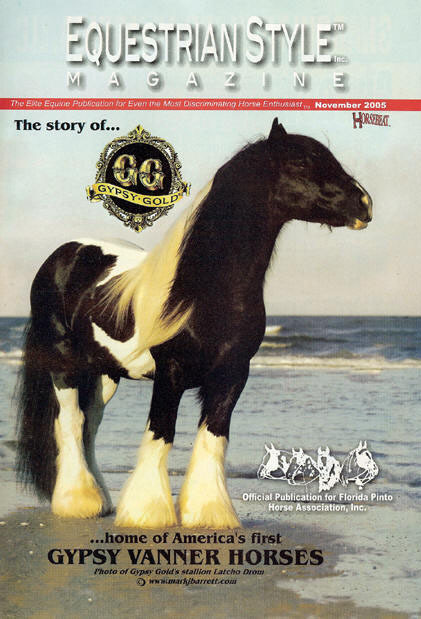 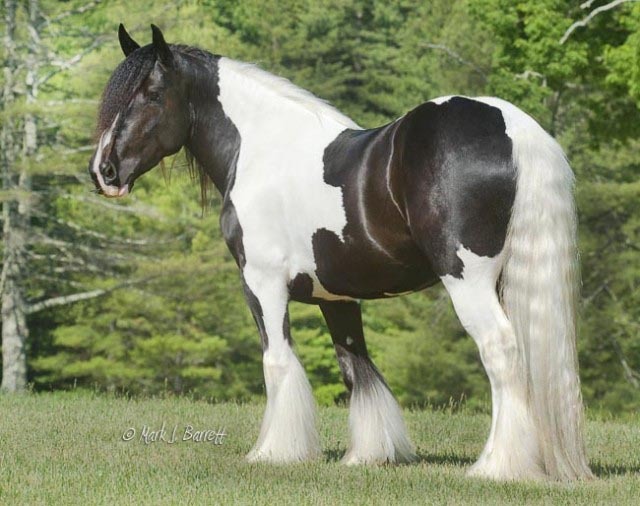 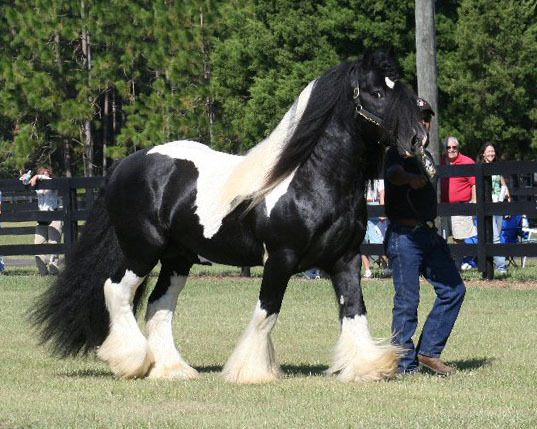 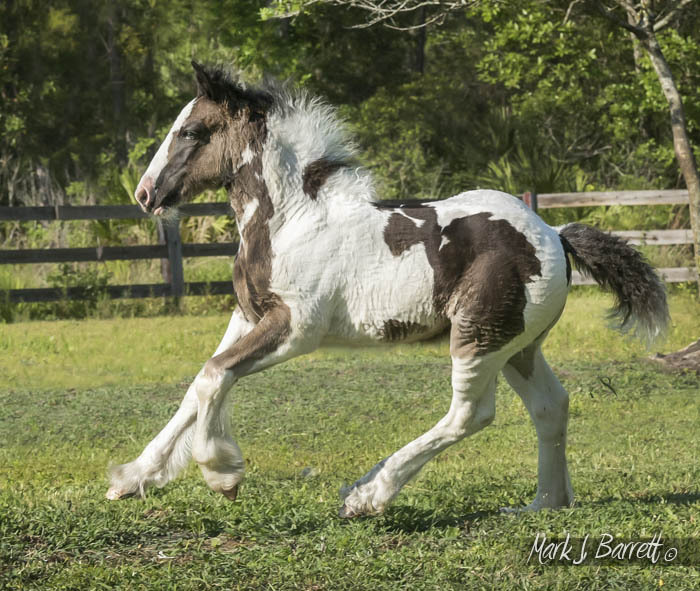 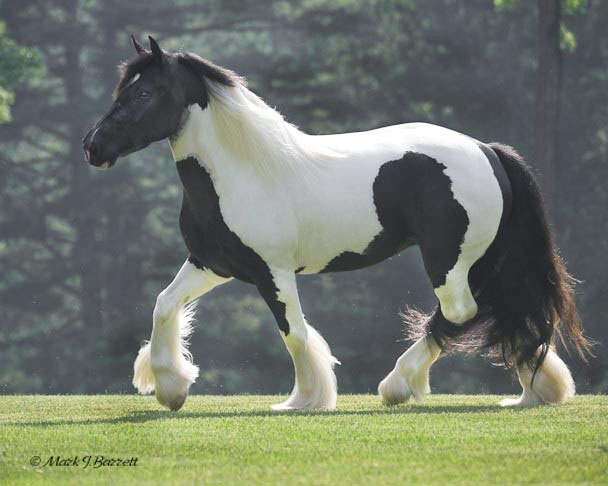 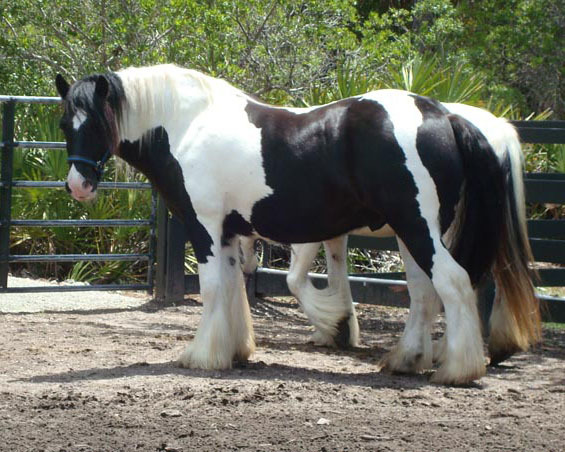 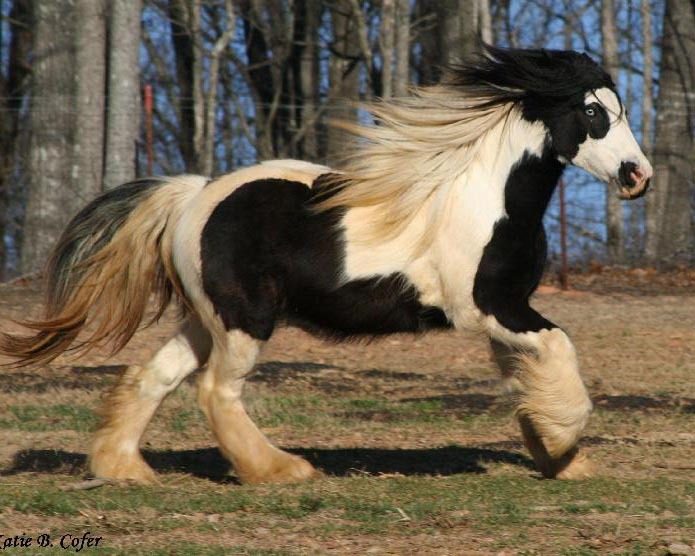 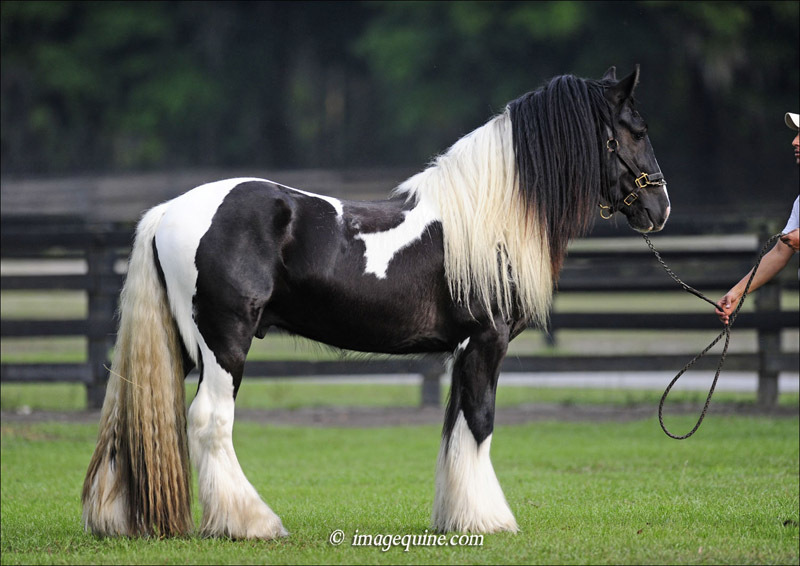 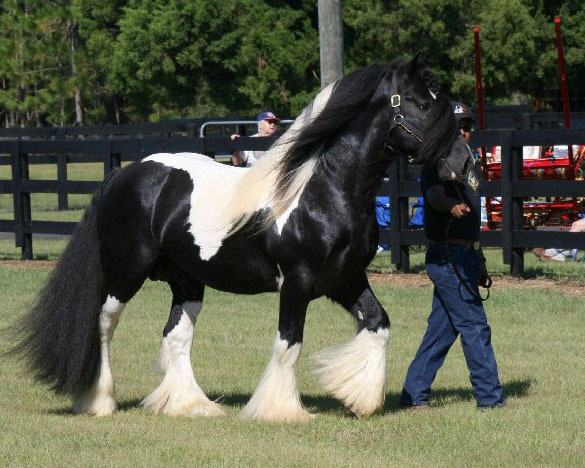 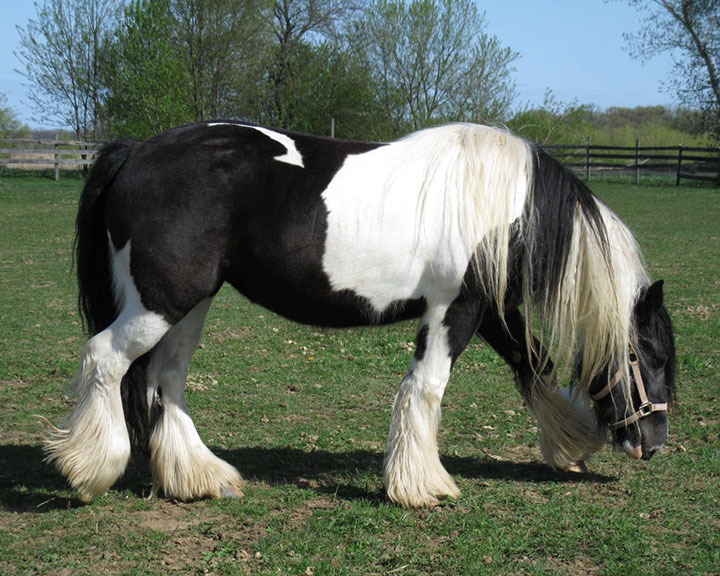 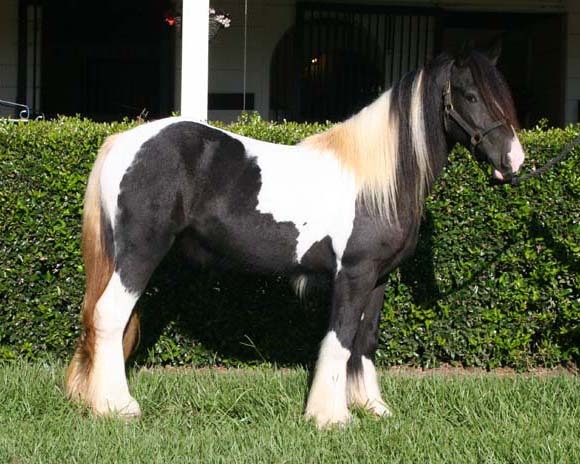 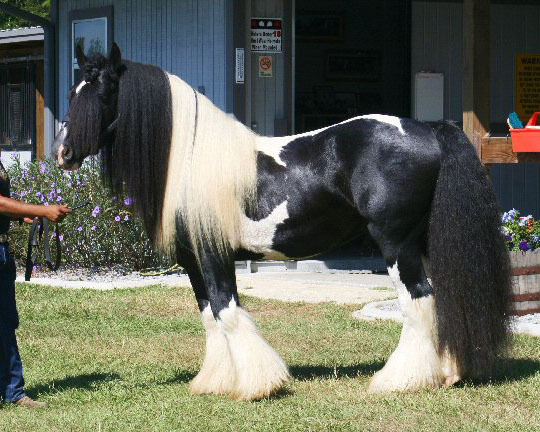 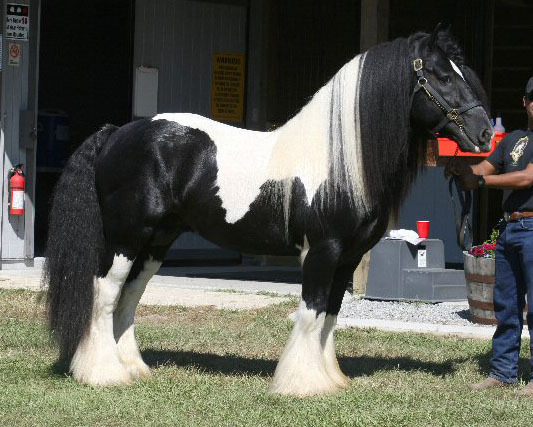 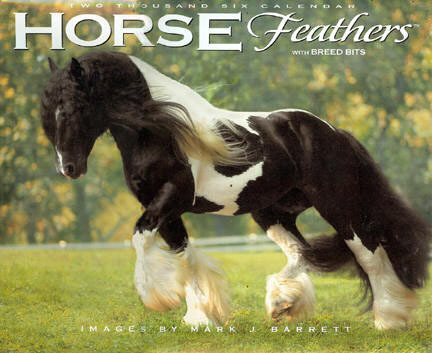 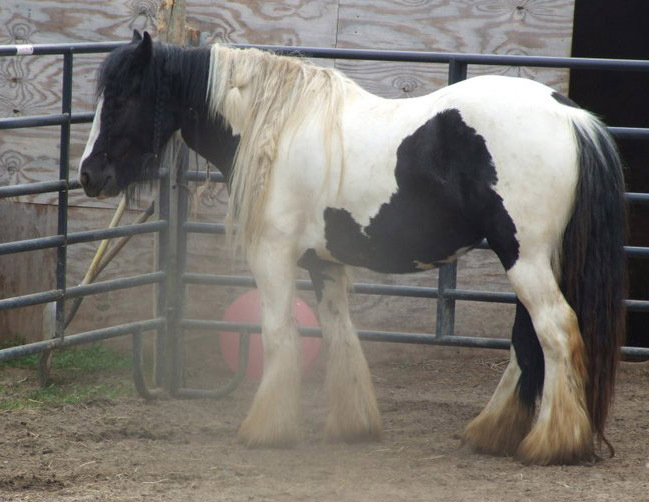 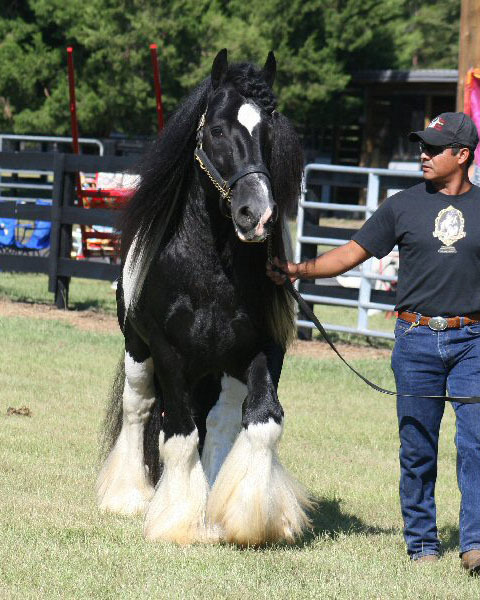 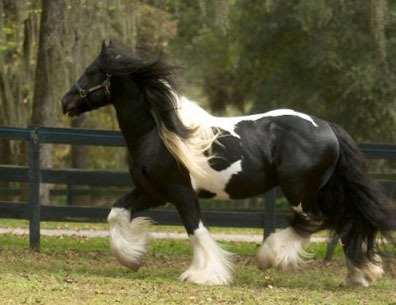 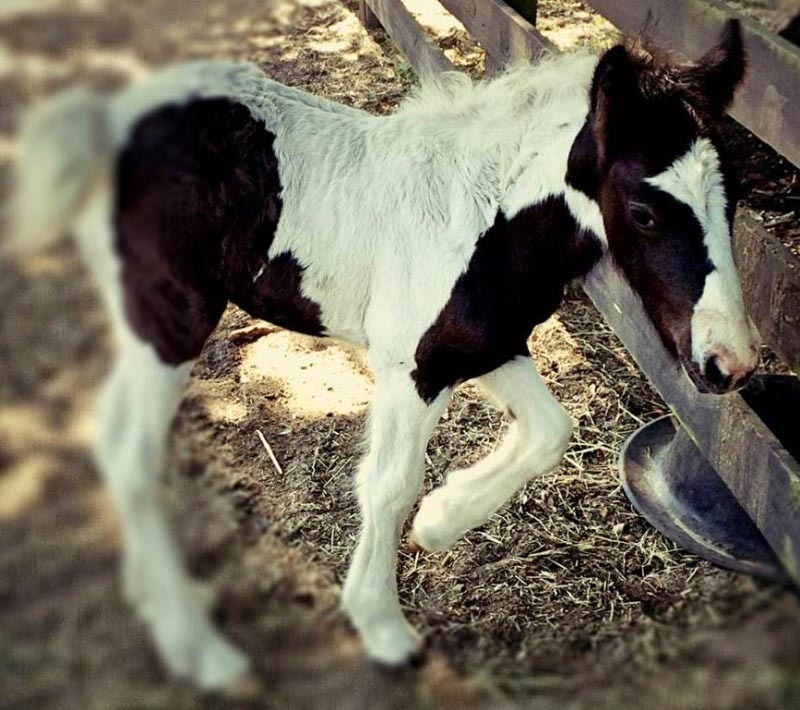 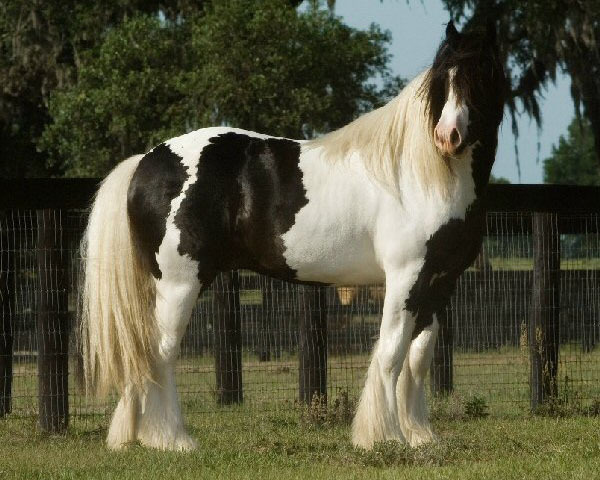 These are the kind of stories that sometimes accompany great Gypsy Vanner Horses. 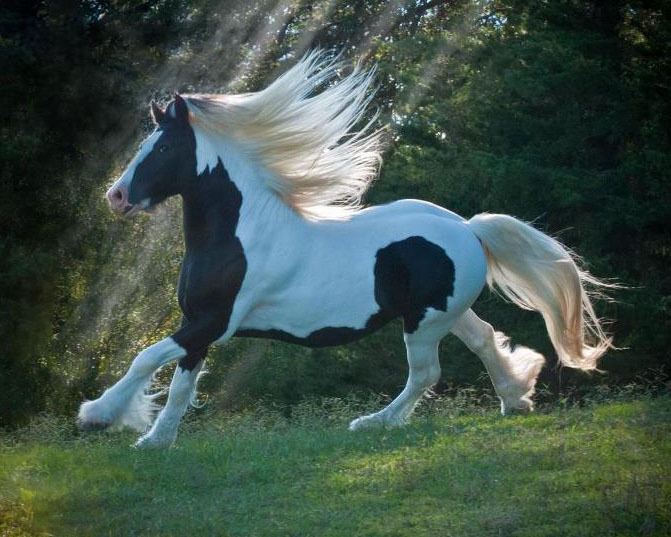 Not all of them are true, but they all hold the magic of their romantic heritage and true or false, King Arthur, like the man in the tale he was named after, did indeed grow up to become an English legend. 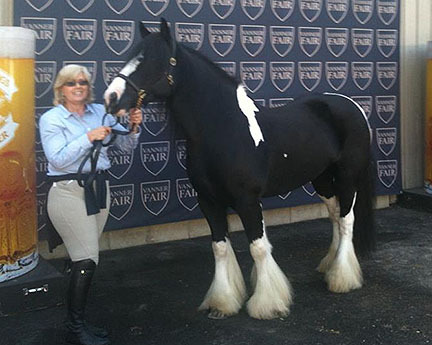 Cindy died before we bought the horse in the picture, but I knew she had wanted him very much. 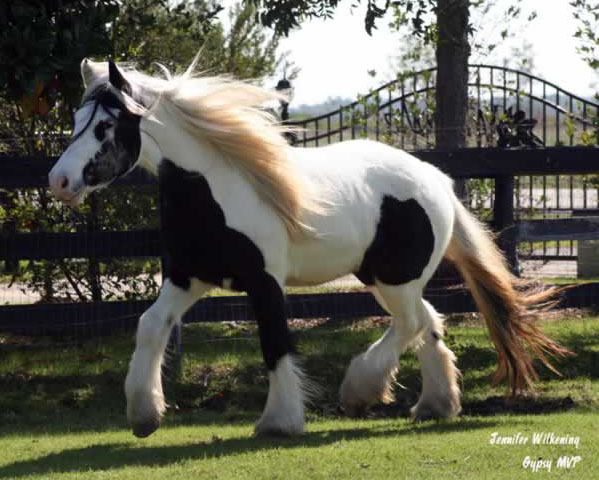 I purchased the stallion and renamed him Latcho Drom. 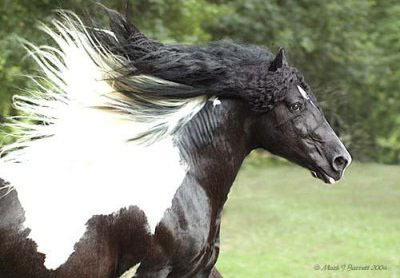 The name is Romany and means “safe journey” or “safe road” and is a documentary of the migration of Romany Gypsies from India over 1,000 years ago. 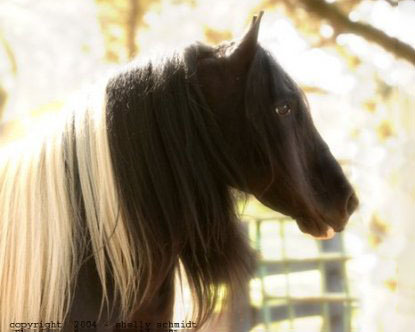 Cindy loved the name and always wanted to name a stallion Latcho Drom. 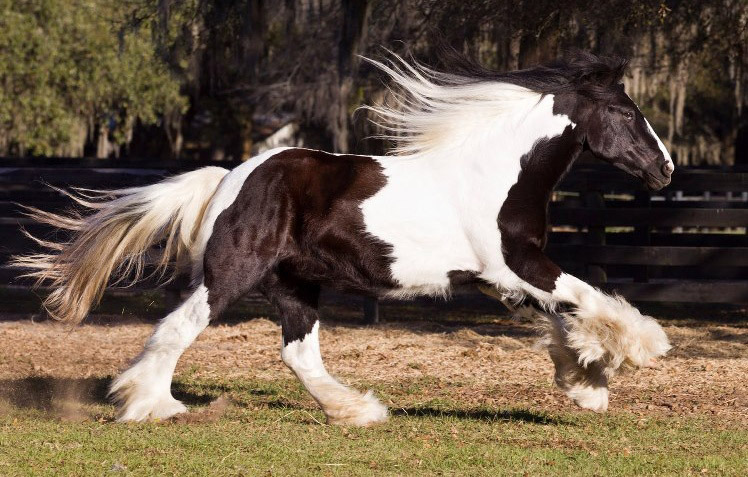 It was a fitting name for a stallion whose safe journey to America helped insure the magic of his new breed. 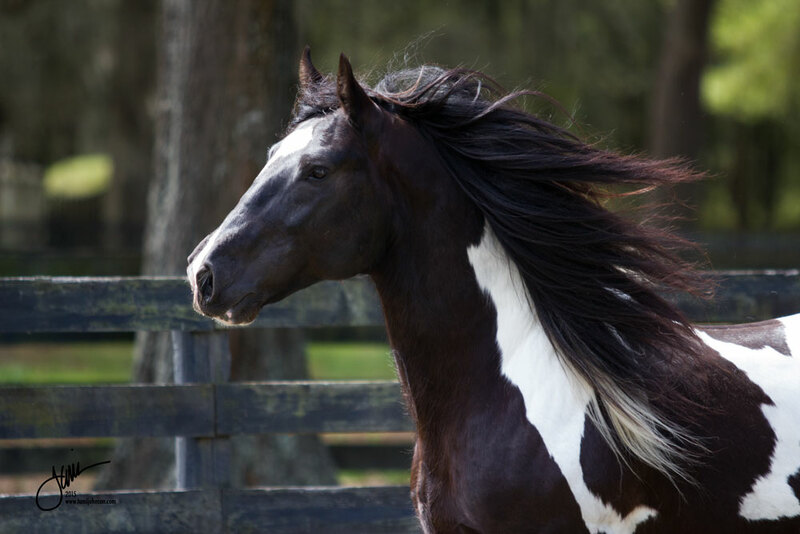 The name also reminded me of the long journey Cindy and I shared together understanding the vision and genetics that created special horses like Latcho Drom. 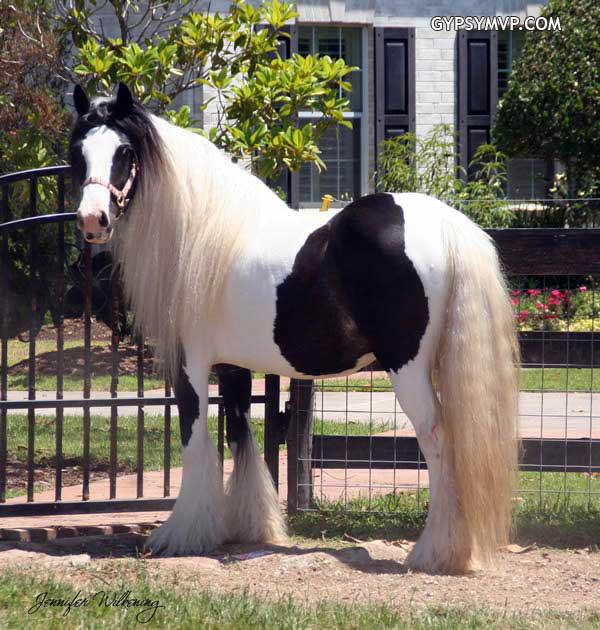 When Latcho Drom arrived, he was all we anticipated he would be. The Gypsy with the great eye had identified another extraordinary breeding stallion for us. 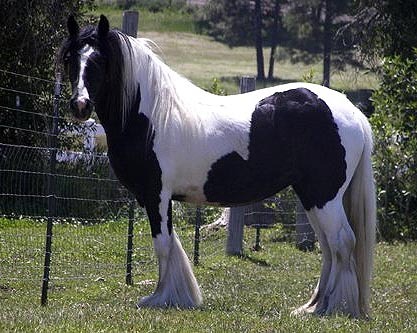 When Gypsies in England found out that King Arthur was here, they contacted the registrar of the GVHS to express their admiration for him and to proclaim him the best stallion in North America. 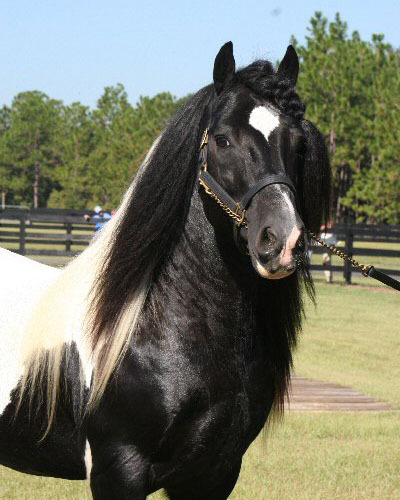 Latcho Drom was indisputedly the most in-demand Vanner stallion in America. 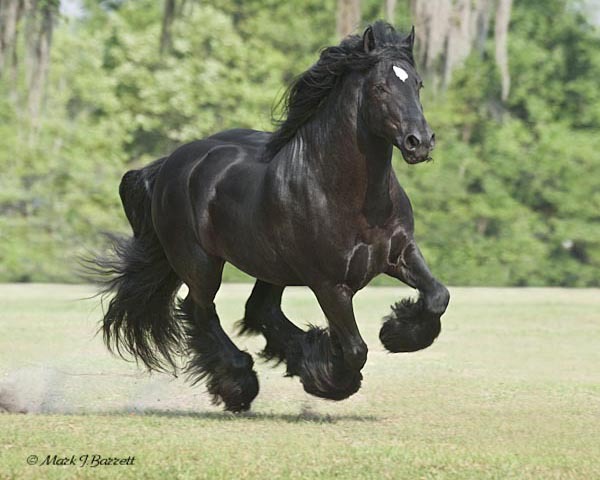 He is sorely missed and left behind a legacy of wonderful horses to breed on.